Home > International > Europe > Europe: finding a role or losing the plot? Europe: finding a role or losing the plot? 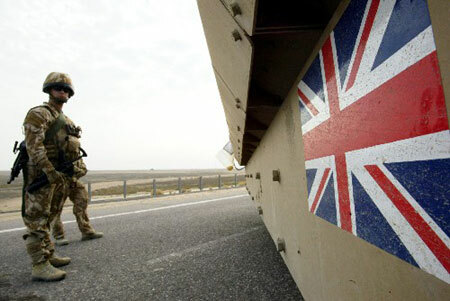 “Great Britain has lost an empire and has not yet found a role. The attempt to play a separate power role — that is, a role apart from Europe, a role based on a ‘special relationship’ with the United States, a role based on being head of a ‘commonwealth’ which has no political structure, or unity, or strength — this role is about played out. Great Britain, attempting to be a broker between the United States and Russia, has seemed to conduct policy as weak as its military power”. Acheson’s remarks were met by a mixture of hysteria and outrage in London, perhaps because it was a cruelly telling reminder that although Britain had finished on the winning side in the Second World War, it had in fact lost; not only the Empire hastily disappeared, but Britain was now, only too obviously no longer a Great Power: a fact only recently underscored by the excoriating humiliation of Britain by the US at Suez (1956). Beyond the accusations made in the British press of ‘back-stabbing’ by Acheson, and the signals of panic in the British Conservative Government (panic being the conventional ‘modus operandi’ of Conservative leaders in testing times through the ages), as Geoffrey Wheatcroft recently pointed out, ’The Spectator’ of the day managed a little more coolly to hit the nail on the head; “It is the nature of nations diminished in power to feel humiliated when that fact is called to their attention”. While ‘The Spectator’ remained cool, it nevertheless suffered from the same misreading of history as those lost in British hysteria; for what it thought was only a “transitional period” in the event proved chronic; the relentless march of time and decay takes its toll, and like Ozymandias (Shelley), Britain is no more at liberty from the laws of entropy than other States or Empires over the ages. Ironically, and by its very nature, Britain is more prey to the effects of entropy than many other states. As the 2016 EU referendum campaign amply demonstrates, the search for a “role” continues to elude Britain fifty-four years after Acheson’s West Point speech. Perhaps the truth that eludes Britain is that it has no “role”, or at least it has no entitlement to a role, and the rest of the world is far more indifferent to Britain’s sense of its appropriate place in the world than the British people choose to believe. It should be remembered in our present dilemma, that Britain’s role in the world at the outset of the First World War had been preceded by the high-watermark of Britain’s Great Power conceit, or rather hubris; described in history as the policy of “Splendid Isolation”. Since the EU referendum is the needless and vexatious cause of our current political problems (brought upon us by the Conservative Party exclusively in its own narrow vested interests, which with complacent self-regard it simply defines as the National Interest), let us look at ‘Britain-in-Europe’ in historical context. Following the Second World War, outside the dominant position of the US, and given Britain’s role in WWII, the UK had the greatest prestige and authority of any European state in Western Europe, and had considerable influence over the development of the new West German State, and indeed the development of Europe. This was the time for British leadership in Europe to flourish and consolidate, to forge the destiny of a new Europe. In 1946, in a speech in Zurich, Winston Churchill even called for a “kind of United States of Europe”. Western Europe, in ruins in 1945, determined that never again would Europe become an industrial-scale battleground of Great European Powers, with casualties to match. Led by France and Germany (and by people like Jean Monnet, Franz-Josef Strauss, Robert Schuman and Paul-Henri Spaak; to say nothing of major leaders like Adenauer or de Gaulle) a new determination was born to create a Europe more united, less riven by dangerous divisions, or subject to the instability of shifting ‘balance of power’ politics: often manipulated by a Great Power (Britain) that was noticably protected from the immediate consequences of these paradigm ‘balance shifts’, not just through having no deeply contested European borders, but no critical continental borders at all. What happened? In 1952 a treaty was ratified between six countries, a precursor of the EEC, EC and EU in the form of the European Coal and Steel Community (ECSC), a common market in coal and steel. The intention behind this treaty was to begin a process that went far beyond coal and steel, and far beyond a ‘single market’. It was to be a political union. Britain, which could have led it, and would probably have written most of the text, refused to join. The six signatories (France, West Germany, the Netherlands, Belgium, Italy and Luxembourg) became the six original, founding members of the EU. In 1957 the ‘six’ ratified the Treaty of Rome, which formed the EEC; later the EU. Britain, still in a position to have a huge influence on the Treaty, refused to join. In the Preamble to the Treaty of Rome it is made clear that the purpose of this community is a determination “to lay the foundations of an ever-closer union among the peoples of Europe …..” (Preamble, p.2). It is the very first sentence of the Preamble: you cannot miss it. Ever closer union is thus not the product of a recent deception (of Britain) by Europeans, intended to entrap the British people. It has been a clear and present objective from the very beginning, and successive British Governments have known this perfectly well since before 1957. It is obvious. If anyone in Britain has a problem with this then I suggest that they take it up with the British Governments (represented principally by the Conservative Party) that they must now believe deliberately deceived them, or examine closely their own credulity, or perhaps complacency. They cannot pass the blame for this one to Europe. It is precisely because the EEC was not what ‘it said on the tin’ (the ‘tin’ being solely the name ‘European Economic Community’, for those too lazy or careless actually to read the Treaty), that Britain declined to be involved. Indeed, in pursuit of nothing more than a single or common market alone, Britain not only turned away from the EEC, but in the immediately succeeding years Britain resorted to creating its own single, common market: the European Free Trade Area (EFTA) in 1960. EFTA consisted of a group of seven, principally northern European countries suspicious of the EEC, cobbled together into a ‘market’ by Britain; Austria, Britain, Denmark, Norway, Portugal, Sweden and Switzerland joined (followed by Finland which became an associate member in 1961). Iceland joined in 1970. The test of the success of the EFTA project, from the cynical British perspective can be seen in two ways. Britain applied to join the EEC in 1963; within three years of having helped induce seven countries to join EFTA in a typically half-baked British project with no plan or prospects, the lead promoter is looking for a way out. Britain came quickly to reconsider the value of EEC membership in the early 1960s, reflecting especially on the success of the resurgent German economy somewhat enviously; compared with EFTA, Britain suddenly decided where its bread was likely to be better buttered. There was no ‘principle’ involved, no strategic thought, no wisdom; just conventional British, short-term economic opportunism. Charles De Gaulle (1890-1970) famously vetoed the British application to join the EEC in 1963. De Gaulle has always been heavily criticised in Britain for this brusque treatment of his wartime ally; but his response, like almost everything else in this sad history is not quite what it seems, and fails to recognise that De Gaulle was much shrewder and wiser about Britain’s intentions than he has been credited. He knew intuitively that British membership of the EEC would not progress well, or end well. De Gaulle seemed to understand the motives of the British better than the British government (or people) were prepared to admit; Britain was eager to muscle in to the single market opportunity (late) as if it was an à la carte selection, but Britain was not sincere about the EEC table d’hôte menu actually on offer as the price of entry. De Gaulle no doubt remembered that Churchill had told him long before that Britain would always choose the US, the Commonwealth and its buccaneering traditions toward the world, than any commitment it would ever give Europe. De Gaulle also knew that Britain’s pretensions were always framed within a narrow cultural insularity. After all, if that had not been the case, then Britain would no doubt have drafted much of the Treaty of Rome in 1957, or shaped the future progress and development of the EU; probably with the blessing of the United States. A genuine, inclusive European Union was, however quite beyond British imagination, and offered little fulfilment for Britain’s extravagant sense of self-esteem. Britain was just obtuse enough to apply to enter the EEC again in 1967; and was again vetoed by De Gaulle. By this time Britain’s membership of EFTA could be seen by everyone to be as half-hearted as its earlier commitment to the EEC when it was formed. De Gaulle resigned as President of France in 1969, following defeat in a French referendum, and died soon after in 1970. Britain rapidly and successfully applied for entry to the EEC in 1973, automatically leaving EFTA (which today consists of only four states – Iceland, Liechtenstein, Norway, and Switzerland). If Britain had finally broken the De Gaulle veto, this does not mean that Britain had learned anything about Europe, or changed its mind about “Union”, or about anything else (least of all acquiring a modicum of self-knowledge). Self-interest and opportunism was all that mattered. Notably it was the Conservatives under Ted Heath that carried Britain into the EEC, and began the myth that this was just a very big free-trade, single market enterprise, with no deep political consquences for Britain. A signal that perhaps all was not well with this strategy in the practical politics of Britain delivered a referendum on Europe in June, 1975; under Harold Wilson’s minority Labour Government. The result was a 67.2% vote by the electorate for Britain to remain in the EEC (32.8% against). The Maastricht Treaty, signed on 7th February, 1992 established the current European Union; another significant sign-post on the long road to “ever closer union”. It established five key goals: economic and monetary uion, establish a common foreign and security policy, strengthen the democratic institutions, improve institutional effectiveness and develop a ‘social dimension’. Once again it was a Conservative Government, under John Major that signed the Treaty. Then, as now, the Conservatives conveniently offered the electorate two faces on the issue: Margaret Thatcher, not long out of office in 1993, said in a speech in the House of Lords “I could never have signed this treaty” (7th June, 1993). Throughout the history of the EU, since Britain joined, British policy has been to remain in a Union that it yet openly reviles. At a deeper level the somewhat cynical strategy Britain has developed retains a vested interest in the single market, and then places all Britain’s efforts to ensuring principally that it acquires a long list of exceptions to EU rules (single currency and Schengen exceptions are only the more obvious). British exceptionalism is alive and well within Europe: in consequence Britain has slowly dissipated its great historic prestige in post-war Europe, and instead of being a natural leader in Europe, and shaping it; it has settled for being a sideshow, an awkward, querelous dissenter aiming no higher than permanently to gerrymander the future of the EU at every opportunity. At the same time, perhaps at a yet deeper level (conscious or not), the British effort has been applied slowly to destroy everything it can of the EU from the inside (so much more effectively than ranting from the outside), save only the cherished single market. The endgame would be to turn the EU into the EFTA of 500m people it would prefer, because it does not share the history, culture and aspirations of continental Europeans closely enough. For example, Britain was among the first and most strident to insist on EU expansion. Expansion would inevitably make closer union more difficult to achieve. The ‘six’ became nine in 1973 (Ireland, Denmark, Britain). Greece joined in 1981; Portugal and Spain in 1986. By 1990 there were thirteen states (just over doubled in size in 33 years). In 2016 there are 28 states (more than doubled in the next 26 years). The rapid expansion of the EU, especially since the collapse of the Soviet Union which provided an important impetus to the restructuring in Europe, does not fully explain the relentlessness of the application of the policy of expansion, which led to countries ill prepared for entry hastily being accepted. Earlier in Europe’s development the ‘six’ were more careful and thorough in preparing new entrants for the demands and expectations of the EU that went along with the prospects of transformation. Britain’s approach to expansion, laced with hostility to the EU as an expanding ‘power’, was typically opportunistic. The underlying purpose of this British approach was acutely perceived by William Wallace of the LSE, who wrote in ‘Opening the Door: the enlargement of NATO and the European Union’ (2002), the following crisply trenchant encapsulation of British Policy at the time: “The British government’s response so far has been incoherent. Its initial support for enlargement blended a positive commitment to helping Eastern Europe with the partisan belief that enlargement would sink the federalist schemes of Brussels and Bonn” (Wallace, p.4). And so British policy has remained much the same ever since; deliberately divisive, disruptive and incoherent. Why is British policy like this? Wallace went on to write that: “The division of Europe after 1945 resolved such questions [as stability or prosperity] by imposing external hegemony, American and Russian: one benevolent, the other politically and economically disastrous. The collapse of the socialist system and the United States’ retreat to semi-commitment has now brought us back to the question of what institutions and rules we want for a wider Europe, within which Germany is the central power and Britain a potentially-significant player on its western edge—if it can decide what role it wishes to play” (Wallace, p.5). Whatever the outcome of the referendum Britain will not have found a “role”. We have achieved nothing, and evaded everything; but of course that is the founding principle of what the Duke of Wellington called, perhaps with a little unintended irony, the “parti conservateur”. Britain can never decide what “role” to play, but it instinctively reacts badly to European unification of any kind. I suspect this has its roots in British-European history; a deep British hostility towards any attempt to unify Europe, not essentially out of a concern for Europe or Europeans, but out of a perceived threat to British interests from a strong or dominant, unified European economic and political force. It is a hostility impervious to reason, or to facts. It is visceral. The British, and perhaps especially the Conservatives still live in a kind of virtual 17th century; what are they afraid of? ‘Universal Monarchy’, a compulsive intellectual disorder, newly dressed for the 21st century. Britain silently craves either a dominant US, or a return to the Balance of Power politics in Europe that Britain dominated throughout the 19th century, as the perfect solution: for Britain. Neither are grounded in reality, so Britain is ‘in’ Europe, and ‘out’ at the same time; or uncertain whether it is in or out. It wishes to be both, depending on the contingent circumstances of each day. Meanwhile, British policy remains what it always was: incoherent. Now, once again a Conservative Government is playing the Europe card; this time so split internally that it is obliged to offer the British people a referendum, as the only alternative to breaking the Conservative Party apart completely, but once again the Conservatives offer not one policy but two faces, so that whatever happens, the Conservative Party wins: the choice is between David Cameron or Boris Johnson. If Cameron wins, he will go on as if nothing had happened; if Johnson wins he will expect to replace Cameron and go on to negotiate the unkown details of Brexit with the EU, also as if nothing had happened. As long as the Conservative Party ends on the ‘winning’ side, that is all that matters in this referendum; even if everyone in Britain and in Europe loses. Unless there is constitutional change in England,the London establishment will continue to see the monarch as supremely sovereign with the Westminster parliament as the monarch’s representatives. The supremacy of the English parliament is incompatible with any concept of pooling or sharing which makes membership of a common European political home impossible. Successive Westminster executives,as you rightly point out,have tried to cover this up by extracting opt outs designed to fool people into thinking we can have our cake and eat it too. One way or another that deception is about to end. A succinct, trenchant and illuminating article, Mr Warren. Unfortunately, much of the electorate, ignorant of the history you describe, will vote on the basis of the perceived (and dishonestly promoted) tsunamis of immigrants and “Europe” not allowing us to run our own country twaddle. Sadly, I fear there will be sufficient numbers of such voters to take us out of the E.U. A very interesting article, sharp, and on the money. What changes? England always wishes to dominate. Never to share. Here is what Andrew Fletcher of Saltoun wrote in 1703, as measures to consider the union of Scotland with England were floated, and he entered into a heated exchange with Sir Edmund Seymour and Sir Charles Musgrave in London about the prospects. ‘…if the temper, conduct, and inclinations of your people be considered, it will appear that, except the union with Wales, which is still attended with great imperfections and inconveniences, they have never shown the least disposition to unite with any other nation, though such as either stood upon equal terms with them, or such as they conquered, or even planted. You could not unite with the states of Holland, when England was likewise a republic (1649-60). And since the time of the late revolution (1688) which was effected by the assistance of the states (William of Orange) and saved these nations from utter ruin, you can hardly endure the name of a Dutchman; and have treated them on all occasions with such scurrilous expressions, as are peculiar to the generality of your people. And if I should touch upon the usage that we (Scots) continually meet with from this nation, I should not be believed, if all Europe were not sufficiently informed of their hatred to all strangers, and inveterate malice against the Scots’. More accurately, Heath – and, a few years later, Wilson – sold the Common Market, as it was then known, to the voters as a free trade entrerprize with few, if any, political consequences. One of the reasons that voters may vote to leave the EU is that, on this issue, as David Cameron is finding out, voters are even more distrusting of political leaders than on most issues. Ironically, the EEC, as a free trade arrangement, might have continued and continued to succeed. The big story is that euroskepticism, previously almost unique to the UK, is now at the centre of politics across much of Western and Central Europe. Ah, the ‘slowdown’ from 1975: Britain joined in 1973. Could there be a connection, I wonder? Expansion slows the impetus toward closer union, as I trust I indicated. When you put the two together (Britain and significant expansion together, including other state sceptics from the EFTA ‘usual suspects’ also joining) this creates an effective check on such progress toward Union; which is exactly what happened. Europe recovered its purpose with some difficulty, when joined by such “friends” by 1992 (something of an achievement with a collection of cuckoos in the nest), but I do no dispute that the increase to 28 states has further dissipated the drive to Union. Britain’s part in this “achievement” is fairly obvious. This, in fact, is my case. Given that Britain has been so effective in assisting in disrupting progress to closer Union, it is a little surprising that the British now wish to leave. What is the aim? It may well be that British ‘Leave’ thinks so much momentum against further integration has been achieved that the European goal already lies in ruins; never to return. Of course, such speculation may prove wrong (and Britain has a poor record on such matters), but let us say it comes to pass. You may think that kind of political Balkanisation a “success story”. I don’t. 1) I do not know what is “more accurate” about your supposedly “more accurate” statement. 2) The EEC was not intended to be solely/exclusively a “free trade arrangement” – ever. Read the Treaty of Rome. 3) I have no problem with countries who wish to join the EU, or wish not to join the EU, but I object to countries that join on the basis of a prospectus that doesn’t exist, lack sincerity for the enterprise and are there principally to disrupt the purpose of the arrangement (i.e. Britain). The EU may not be important to Britain, and it may not be important to some continental European states, but given the complexity of borders in Europe, its terrible history in the 20th century, and its distinctive culture, those countries that wish a closer Union (most of the original six and some others) should be allowed the space and freedom to make the best of their goal of ever closer Union without being deliberately undermined from the inside by members who wish to see it fail. You write as though Britain were a homogeneous entity. It is not, least of all regards European unity. For mainly historical reasons, European unity has had less support in Britain than in most mainland countries. The pro-Europe elite, personified by Heath, chose to mislead people about the political nature of the project – rather than persuade them to support it. If voters choose to vote ‘Leave’, it will be, in no small measure, payback for a dishonest elite. I have not read the Treaty of Rome but I do remember, in 1975, being reassured that it was an aspirational document, like the then Labour Party Constitution, rather than the outline of a political programme. You write of ‘those countries that wish a closer union’. Here again, you imply that there are whole countries committed to this. Is France ? Is Austria ? Is the Netherlands ? At present, nearly all the energy within the EU is being devoted to shoring up a crumbling edifice; the euro. It is being led, not by elected politicians but by economists like Mario Draghi; the product of Goldman Sachs rather than social democracy. Finally, you appear to see only two possible ways forward; European unity or Balkanization. I have not claimed Britain was “homogeneous” anywhere. Only Stalinists claim 99% support for anything in any country. Sadly, what separates Britain from others over Europe is not homogeneity but consistent, long-term duplicity, throughout its 40+ year membership of the EU. I do not believe Britain has been a sincere member of the EU, at least the political establishment has never been sincere (as for the electorate they must speak for themselves. Speaking only for myself, I never believed the ‘free-trade only’ myth, nor would I have thought it alone was a good enough reason to join; venality is understandable, but it is not enough). There is more to Europe, or to genuine European political interests (and distributive justice), than a market. Britain has through its efforts however, managed to remain in the EU and disrupt the movement towards ‘ever closer union’ whatever others in the EU want (I notice here commenters seem concerned about everyone’s aspirations, except those who want ‘ever closer union’ or the aspirations of France and Germany, neither of which seem to count for anything at all). I believe this relentless, negative British activity, which has not been constructive about anything in the EU except free trade, has helped create the peculiar nature of the present EU, the low esteem in which it now held, the tendency of members now to view every EU rule as optional; and worst the complete cynicism of so many of the European electorates towards the EU. So successful has this policy of disruption from inside the tent been, I am genuinely surprised that Britain wishes to leave now. I am sad about this outcome because I believe that Britain could have led Europe; it clould have drafted the Treaty of Rome, it could have had a major hand in guiding the future direction of the EU: but each time the opportunity arose Britain turned its back. I could have accepted that too; but to join something you don’t believe in, then calculate that you can both ‘milk it’, and then either oblige it to serve only your interests, or undermine it, or dump it seems to me to be almost a definition of perfidy. The EU has serious blemishes, but it deserved better of Britain than 43 years of insincere membership, the constant (and quite successful) undermining of ‘ever closer union’ as an “aspiration” (I notice you write of ‘aspiration’ as if it was a ‘mere aspiration’, to be safely ignored. QED); and at a moment of crisis for the EU and Europe, Britain chooses to have a referendum, and perhaps a decision in the referendum just to leave the EU in the lurch, in its moment of need. Whatever the (many) failings of the EU I believe it represents an aspiration that calls us as Europeans to answer; and I believe that if, suddenly the EU was not there tomorrow; the world, and Europe would be much the worse, and both Europe and the world would be an even more dangerous, unstable place. Europe, qua ‘Europe’ does not do too much in the world; it does too little. It would be more accurate to say that it is facing three crises each of which might destroy it; the euro, migration and the lack of democratic legitimacy. An analysis of how the EU reached this state of crisis – none of the three crises can be blamed on the UK – and of how the EU might extricate itself would be worthwhile. Instead, we have a retreat into the comfort zone of the UK’s lack of enthusiasm. Reading ‘The Hugo Young Papers’, as I am doing now, I am struck by the arrogance of the europhile elite. It is assumed that the euro will be a success, that it would be disastrous for Britain to remain outside the euro and that euro project will, inevitably, succeed. As Crubag put it, ‘UK bad, continentals good’; the europhile version of no more boom and bust. This is essentially another article from the stable of World History as a Tory Psychodrama – which has been a staple of BC recently. But he does at least admit that the Europeans – or at least the elite – have some agency. What is this “European goal” and is it compatible with an independent, autonomous Scotland? Do you really have evidence that shows that Britain encouraged expansion merely to weaken the EU and slow political unification John? John also omits the fate of the European Constitution from his history of Europe as a Tory party sideshow – what were those bellicose and jingoistic French and Dutch citizens thinking? As an aside, the arrival of EU-28 has had the effect of making the EU an English-speaking Union. The east Europeans haven’t learned French or German as their second language ( which would have been the case pre- WW2) but gone straight to English, or more accurately American. It is Britain, not Europe that is, in the the fulsome term used above, a “Tory Psychodrama”. Britain is not quite that important, although it can effect the future of the EU. The Conservative Party has played a particularly significant role in this; but both Labour and Conservative Governments have (for example) encouraged EU expansion in order to defeat ‘ever closer union’. In 2004 Britain (with Ireland and Sweden) were the only EU countries fully to open their borders to workers from New Member States (the Czech Republic, Estonia, Hungary, Latvia, Lithuania, Poland, Slovenia and Slovakia). This was a policy that had been driven by Tony Blair’s Labour Government. The Conservative opposition (Howard) supported the enlargement process but wanted work-permits; more significantly he argued against state benefits for new arrivals. The rhetoric was not accompanied by convincing policy or action either in opposition, or later in Government (it is easier, and politically fruitful, just to blame Europe). Britain’s pursuit of a free-trade only EU has inevitably affected the process of ‘ever closer union’; at the same time, having the UK inside the EU but outside the eurozone inevitably slows eurozone expansion, whatever the commitments new members make to join the eurozone once they meet the necessary criteria. It is the British who have effectively set a precedent to choose your own menu in the EU, which is an invitation everyone, and the British know this very well. Federal Union was clearly even worse that “closer union” (undefined). That would be the ‘Federal Union’ that Gordon Brown claimed we had in Britain, after the Vow? Finally, I shall repeat again; whatever Bella Caledonia’s editorial policy, I plough my own furrow. I am not a socialist, and I am not actually a nationalist either. The example of the 2007 enlargement, when the core Good Europeans ALL put in place restrictions on freedom of movement and the UK didn’t, is another example of how this isn’t a simple narrative of UK bad, continentals good. It is a travesty to reduce my argument to “UK bad, continentals good”. Please find a better argument to bolster your case (whatever that is). It is worth pointing out that it is Britain that is holding an exit referendum, not anyone else (it is striking how eager countries are to join the EU and how few leave – the idea of France or Germany putting Europe through this process, or the kind of endless carping that Britain indulges is difficult to conceive, but they have too much at stake); it is legitimate to examine why we in Britain are here (and not Germany), and to examine how Britain has consistently acted in Europe against the general trends of development established by a broad consensus among European members. At the same time it is, in my opinion, more difficult and demanding to be a continental European state for reasons of history, culture, language, geography and often, contested common borders. I tend to cut them a little more ‘slack’ than an offshore island group with different experiences and that Europe is just a market opportunity (that has too much bureaucracy). It isn’t, and given Britain’s history in the first half of the 20th century, that is also worth remembering – lest we forget. John Warren has given us a masterly account of Britain in Europe, as one would expect from him. I have nothing to contest in what he writes, but I note an omission. The EU’s predicament may be aggravated by Britain’s perfidy over the years but they result also from key intrinsic flaws that have nothing to do with Britain. The Project was conceived as an elite undertaking, elite dominated, top-down, based on the idea that the leaders know what is best for the people. Indeed, in many ways they did, but nevertheless the democratic deficit inherent on the structures has prevented the EU Project from capturing the imagination and loyalty it needs among the European people it purportedly (and in certain areas, actually) serves. Whoever heard for example of a Parliament with no right to initiate legislation? That right is firmly held by the unelected Commission. Legislation is crafted in Brussels, shaped (or twisted) by armies of lobbyists, discussed in camera by the Coreper, then Heads of State in Council – only then does the EU Parliament get a look in. The EU’s notorious disregard of referendums, obliging repeats till the citizens “get it right” says much about the dirigiste nature of the enterprise. I grant that Britain has done much, cynically, to worsen this flaw but nevertheless it is a fundamental flaw, from the origin. I sympathize with Varoufakis’ quixotic attempt to mobilize citizens to demand more democracy in the EU structures, and believe that without such, the experiment will in fact fail, but it is going to be extremely hard to get traction on this vital issue. I should add that an argument that relies on “the core Good Europeans ALL put in place restrictions on freedom of movement and the UK didn’t” (2004 – see my first comment above), is a little rich when the Leave argument is almost exclusively a case about immigration and the appalling nature of open EU borders inflicted on poor little Britain by the nasty Europeans; you really do want it every way – unfortunately the first casualty of that exchange has become the meaning of the words. So Britain has been politically ambivalent about Europe at times and less so in other times, with political parties on both sides of the coin…wow! What fascinating insight, unlike other democracies where not everyone thinks alike? The French, German, Swedish, Dutch, Portuguese, Spanish, Italians, Germans i.e) all… the EU countries have had similar swings in political support/ polarised views and parties (including Scotland – see the shifts in SNP policy over the years) enthusiasm over the course of it’s history. e.g.) what about the bit where the French, Irish and Dutch voted against the ratification of a European constitution/ Lisbon Treaty in 2005, and the Czech’s delayed signing while the President and the constitutional court deliberately dilly dallied, while the Spanish voted overwhelmingly for it. Or how about the German and French initial rejection of free movement and employment from the new eastern members in 2004 – there was a reason why half of Gdansk ended up living in Grimsby rather than Frankfurt or Nantes, or more recently the German rejection of a common EU migrant policy/ fund etc etc etc. Sure Britain has been more Euro Sceptic in the past, fine make that point but have a little less myopia about the current state of play all across Europe. As for world perception of the UK it’s pretty good, produces the most globally watched TV programs, is in the top ten most visited countries, has one of the most respected national cultural organisation in the British Council and the BBC world service is the most listened to international radio station in the world. (the only people who still insist on portraying modern Britain as an imperialist anarchronism are Scottish Nationalists, not even ex colonies, India, South Africa, Australia, Canada have the same hang ups, myopia and can’t see that Britain is a very different place today – one of the most multicultural and plural on earth. Have you ever been to London or Birmingham? Europe’s largest outdoor street festivals are the Notting Hill Carnival and Diwali. Hardly indicative of imperialist pretensions of superiority unlike most dreary Scot nat events that are almost entirely white and have to drench everything in Tartan. It’s this wha’s like us exceptionalism and self righteous guff that put many folk off the Independence movement. Oh and I’m very pro EU for reasons that I am perfectly at ease sharing sovereignty across stupid old border anachronistic borders with people and cultures that are not my own and that includes the evil English. Shame most of the original Treaty of Rome signatories are less so enthusiastic these days. Also what you failed to address are the variety of reasons why the UK (and others) have been ambivalent about Europe, many of them very valid if not a reason to be anti Europe. The deepening of the federalist model rather than the widening would have also created a non inclusive element outwith the EU core – it was possible to have two speeds, as with membership of the Eurozone, but this was rejected repeatedly by the French and Germans – that meant isolation of potential allies in creating a new liberal democratic world, Poland, the Baltics, possible partial membership of Turkey, or Morocco. By widening it was a strategic attempt to ensure liberal democracy in these countries. And with good reason. See Putin’s recent attempts to stir up division and undermine European solidarity at the Euros, what happened in Marseille was not an accident, just prior to the ref and of course his support for Scottish Independence. And please don’t give me it was all NATO’s fault…etc. The other reason was that the European Economic model, EMU, that wasn’t underpinned by credible and necessary politics and theory. See Optimum Currency Area, Gordon Brown’s five tests and why he kept the UK out of the Euro…is very pertinent to the Scot currency debate. And as things stand, he was correct in his Euro scepticism. My impression was that enlargement was driven by eurocrats in Brussels, not Tory eurosceptics in London. E.g. the attempt to get Greece in when Greece didn’t meet the criteria but they cooked the books anyway. Hence the current Greek crisis. You seem to be commenting on an article you think was written, rather than what was actually written and cogently argued. Many thanks for that thoughtful, and insightful, article John. It certainly explains a lot about how we have arrived at the present situation. Just let England go! When you have a country that has a House of Lords that is based on a sense of superiority and is not elected with more members that the elected Commons, then one must wonder. The antics of windsorama over the last three months with its faux traditions and ruritanian silliness should be a wake up call. The Habsburg and Tsarist empires abounded in antics like this before their demise; fantasy rituals and staged homages to the monarchy only mask the real retreat dah sath from reality. It is a country which sees itself as the norm and all others as the abnorm. Reality will always in the end shatter illusions. John Warren’s article is one of the best pieces I have read over the course of these dismal few weeks, and a an excellent summation of British/English perfidy in Europe since day one. He is absolutely right about Britain wanting to have its cake and eat it, and he right too in his comments BTL to point out that Blair is responsible for immigration suddenly becoming such a hot potato by extending unlimited open doors to the former Eastern European countries when most other countries did not do so. The whole thing is a shambles and a farce, all the constant opt-outs, all the whinging and carping and conspiracy theories, from Thatcher wielding her handbag at Jacques Delors onwards. …the Eurozone, at the very least, needs more not less political union. On a personal note, the idea of Boris Johnson and Mariano Rajoy negotiating the future status of Spaniards resident in the UK, and UK residents in Spain, is enough to make my blood run cold. My thoughts are with the EU residents in Scotland, who that nasty, bigot Cameron denied a vote to. They have been paying their taxes in the UK for a very long time, many of them. They have started businesses, have bought houses and brought children up there. That these EU residents in the UK have been denied a vote next week is a democratic outrage…. One could go back further and examine the history of England’s, later UK’s isolationism – no invasions since 1066, last battle on UK soil 1746, building of foreign empire & consequent mercantile policy. Old Labour, New Liebour, now we get Cheap Labour. Working people want out of Europe. We don’t all have secure jobs and bought houses, most of us would like secure jobs and the ability to buy our own houses. The SNP leadership are ignoring the wishes of the working class, who would like immigration reduced, the working class who don’t have secure or regular work. They better watch out they don’t get tarred with Cheap Labour. Or even worse, the tartan Tories. The SNP are supposed to represent us, not the unemployed Europeans. I think I read that Lord Ashcroft’s poll after the referendum suggested that 75% of EU immigrants to Scotland had voted No in the Scottish referendum. I wonder if they regret it? So John thinks the argument for leaving is all about immigration. What does that say about his perspective. I cannot at this stage make my mind up on who is telling the truth over leave or stay largely because the level of debate is so poor and the real issues are being completely overlooked. But I do know there are several other areas of concern for people which cannot just be shrugged off as irrelevant. The argument for staying and remaining part of the single market seems highly compelling, however there is that fact that as a net contributor to the EU we are actually paying to trade with it. The writer and other contributors talk about countries who want to join and have joined and do not want to leave. This is hardly surprising given the financial redistribution of wealth being undertaken by the unelected and undemocratic bodies which make up the union. Add to that the levels of waste and corruption particularly in the newer member states where large sums are being syphoned off criminally then it is difficult to have any faith that we actually benefit. Perhaps if the EU were to be able to provide clarity in its dealings and audited accounts which gave comfort that the finances were under proper control people might be inclined to accept the benefit of the single market as a price worth paying for. But currently they do not. Farmers in Scotland get somewhere north of 70% of their revenue via the EU or will do if the Scottish Government ever get the system in place to make the payments timeously. But this is our own money being returned. Reminiscent of our benefits system which takes away then gives back. This at colossal cost in administration. Fisherman have also been given a raw deal from rules laid down whilst other countries have benefited at our expense. Then their is the abuse of the ECHR and its legal system. We could go on and on about what is wrong and what is detrimental to UK or even Scotland PLC. To say the argument is simply about immigration is simply wrong and I would suggest mendacious probably to detract from the relevance of the other issues. The contradictions from the Scottish Government and various organisations such as Police Scotland on the subject are fairly startling. Take the announcement to increase the number of armed police in Scotland to ensure we are prepared for a terrorist attack. We are told that the UK level of threat has risen dramatically but that there is no specific increase in danger in Scotland. Everybody accepts the open border policy allows freedom of movement for everyone terrorists included so that being the case clearly there is an increased risk. Matheson knows that which is why he has made this announcement and allowed this to happen but simply cant or is not allowed to say uncontrolled immigration into the UK and Scotland by people who are not European but have been given EU passports carries an inherent risk of allowing terrorists in. Immigration is one part of the argument and it has been made this as a result of deliberate deception by politicians but there are many more aspects which are just as damaging to the UK and Scotland and need to be dealt with. Until now the EU has failed to even acknowledge that any these factors are unacceptable to this country. The time has come for the people of this country to decide on whether the EU is something this country should be part of. My perception is that this decision will be taken with a number of things in mind and immigration will be only one of these. It will be no more or no less important than any of the others.